FREE USA SHIPPING ON THIS ITEM* Brimstone the guardian of the gates of Hell awaits his latest soul! Forged from molten lava he feasts on the souls of the damned. Brimstone is the most vile and heinous creature you can imagine.. lurking in the shadows, watching the evil of the world grow his strength. He brings misfortune with him anywhere he may venture. The souls of the damned are delicious but the souls of the innocent are prized possessions locked away forever by this putrid creature.. be extra cautious, things that go bump in the night are sometimes much much worse than they appear. 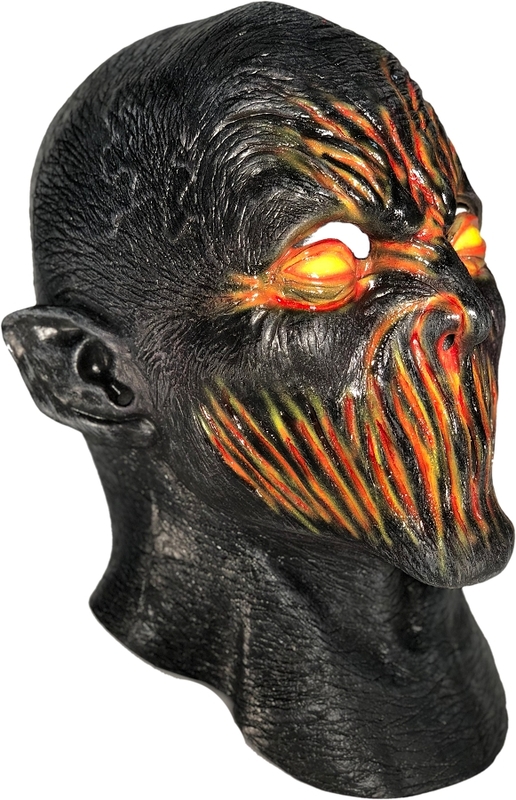 Brimstone Demon Mask Manufactured through and amazing partnership with Ghoulish Productions exclusively for Creepy Twists Productions! 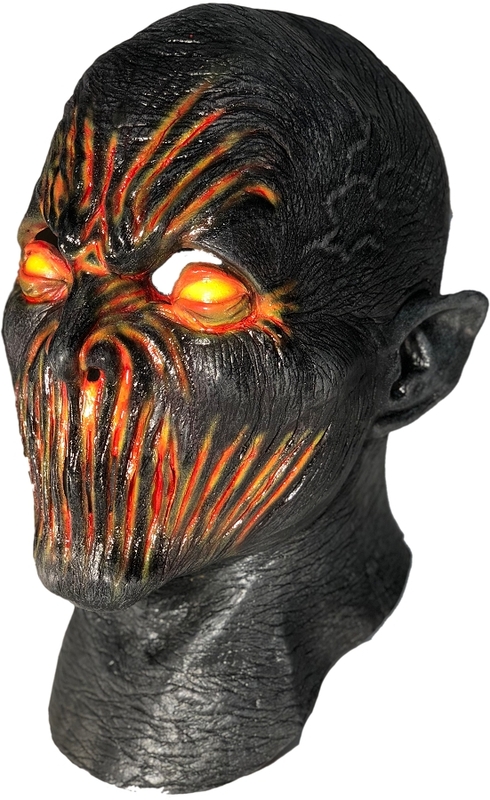 This full over the head latex mask is hand painted and our best seller! * Free Economy USA Shipping.